Brings up the AVM associated to this node, before the grammar's restrictor has been applied. 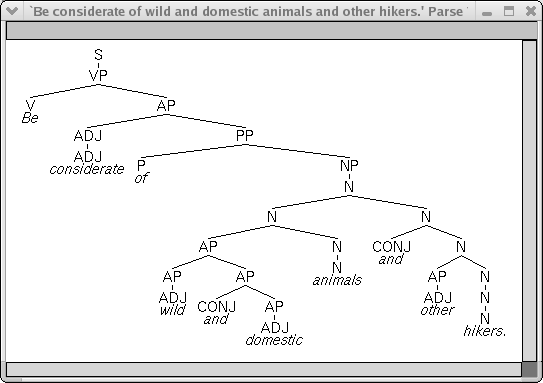 Brings up the AVM associated to this node, after the grammar's restrictor has been applied. Highlights the edges used in or built on this node in a parse chart browser. Opens a parse chart browser containing only those edges used in or built on this node. 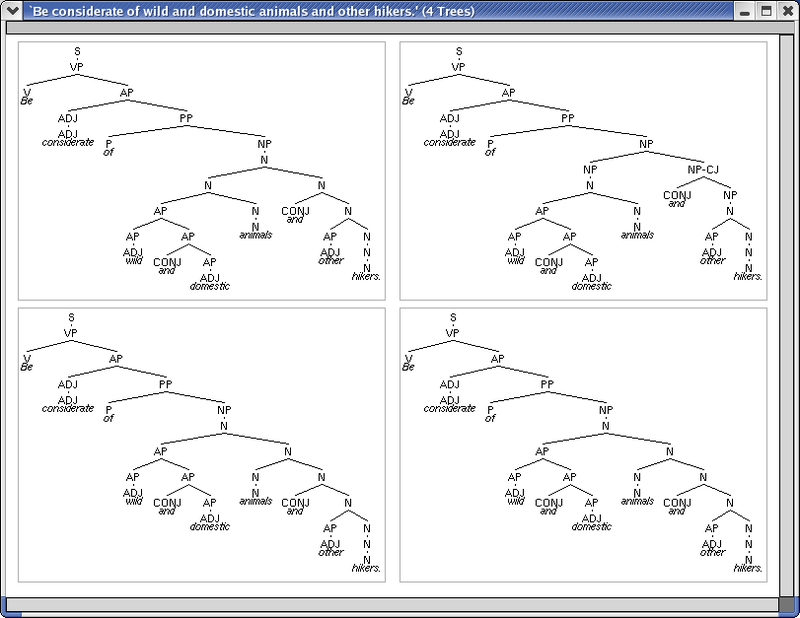 Attempts to generate sentences using the grammar whose semantics match those of the selected node. Same as Generate, but also applies transfer rules to the semantics (?). Opens an MRS browser for the simple view of the semantics of this node. Opens an MRS browser for the indexed view of the semantics of this node. Opens an MRS browser for the scoped view of the semantics of this node. Displays the dependencies view of the semantics of this node.